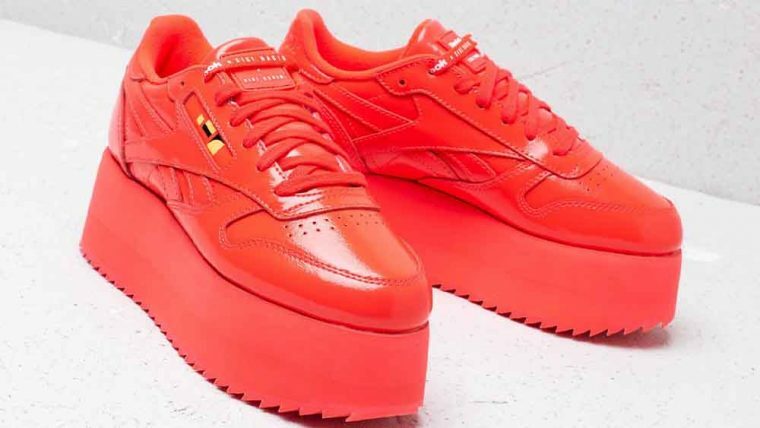 Here we take a closer look at the Reebok x Gigi Hadid Classic Leather Triple Platform in Red. Are you going to be adding this bold statement shoe to your rotation? 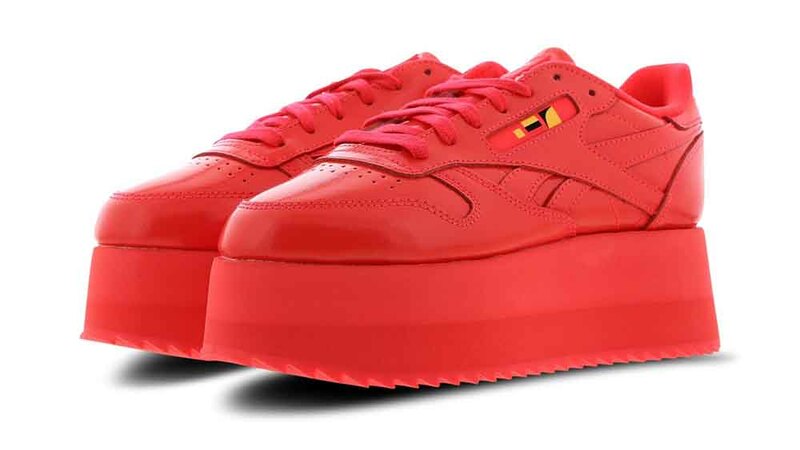 Make a statement, with this extra chunky oversized sneaker. 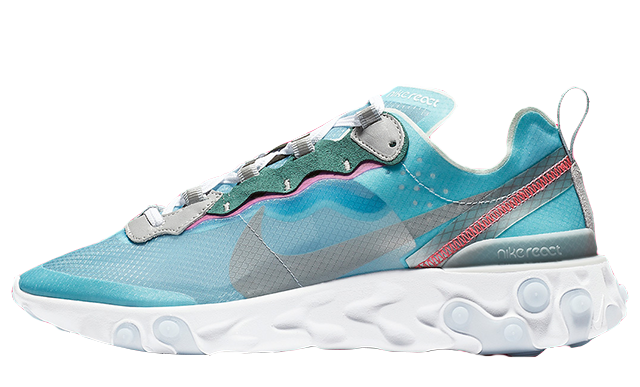 Released as a part of the Reebok x Gigi Hadid clothing and trainer collection, this one is sure to make you stand out from the crowd. 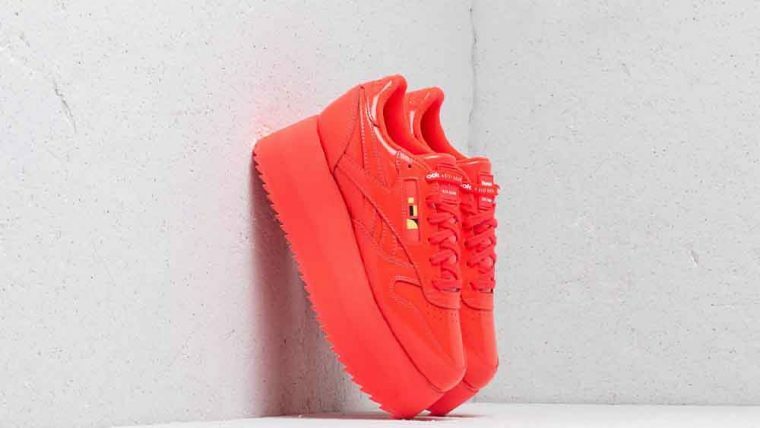 Coming to us in a Neon Red/White colourway, the silhouette is fashioned from a soft – almost patent – leather upper, which has been layered in the traditional Reebok Classics way. 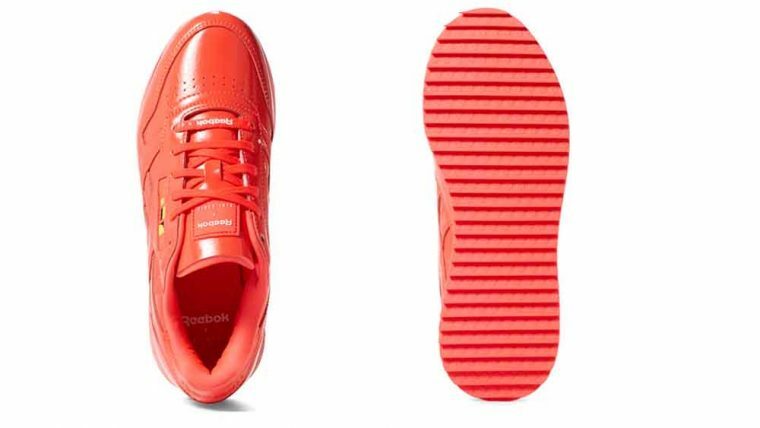 Looking closer, we can see the Reebok double stripe wrapping around both sides of the shoe, with tonal stitching throughout and perforations at the toe vamp for ventilation. 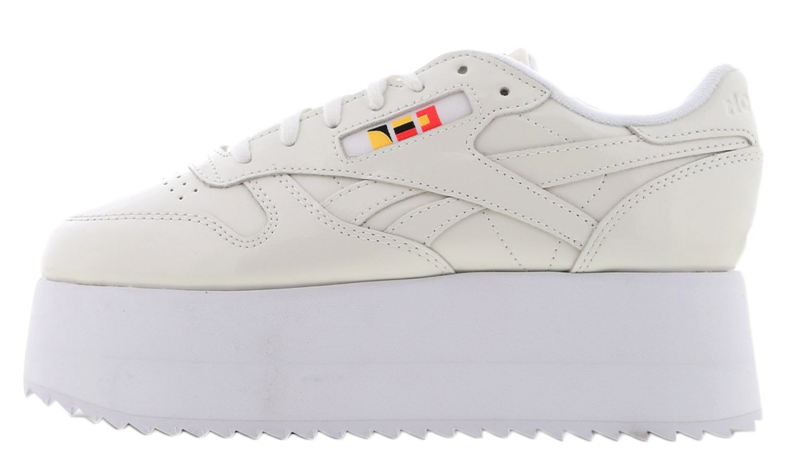 To the side of the shoe, there’s the Reebok x Gigi branding in yellow and black and Reebok is also embossed to the heel counter. 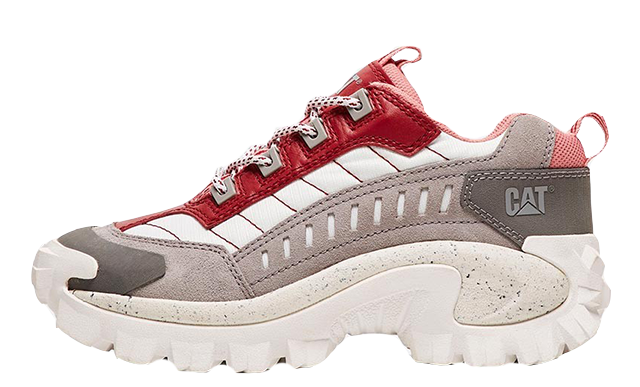 That’s not it for branding; a rubber tongue label shows Reebok x Gigi in white, which is also repeated at the end fo the laces. 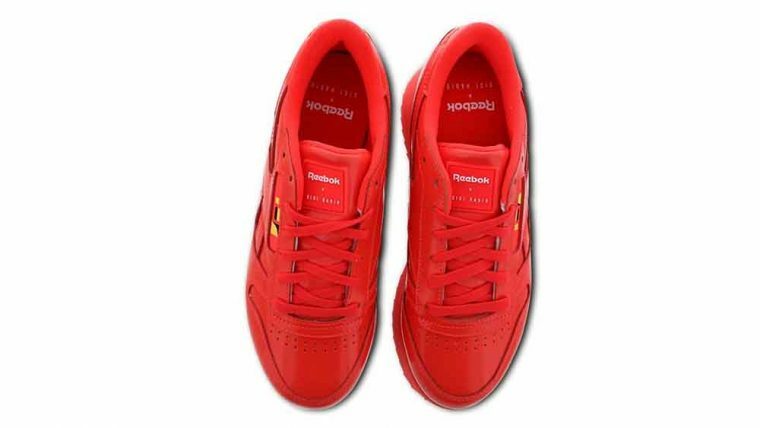 Underfoot, the Reebok Classic has been transformed with a triple height EVA midsole, giving you cushioning and bounce with every step – as well as some height. Below this, the jagged rubber outsole will bring some toughness to your look, whilst providing some practical traction. 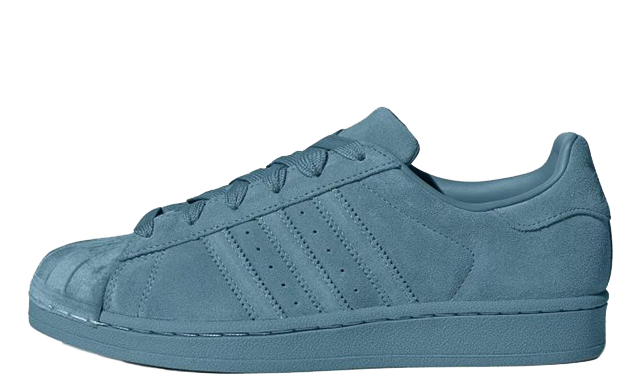 You’ll be comfy walking in these on any surface. Check out the stockists linked on this page to cop a pair of the Reebok x Gigi Hadid Classic Leather Triple Platform in Red if you’re loving them! 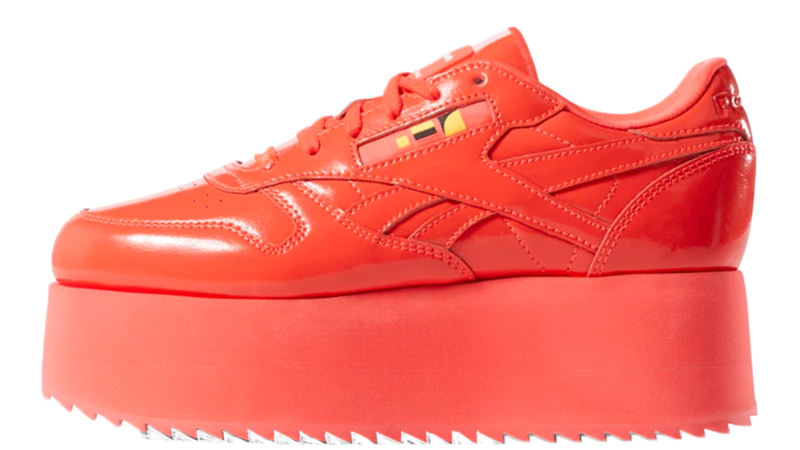 You can find more Women's Reebok Trainers Release Dates here!